The $19 million redevelopment will see the Green Machine leave Bruce and return to their spiritual home at Northbourne Oval. 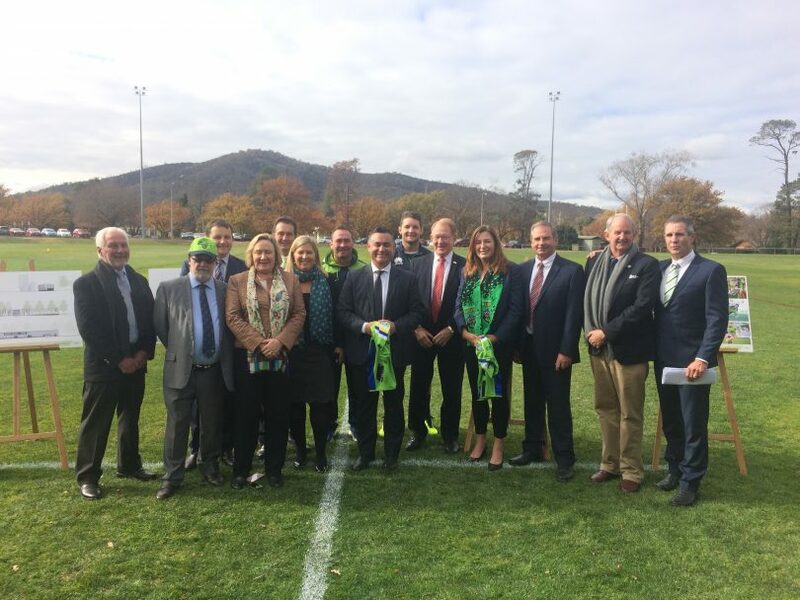 Northbourne Oval has been confirmed as the home of the Canberra Raiders’ proposed Centre of Excellence after the ACT Government announced a three-way deal with the NSW Government and Raiders Group to secure the NRL club’s long-term future in Braddon. In a pre-2018 ACT Budget announcement, the ACT Government said it would provide $5 million over three years for the new state-of-the-art facility, with the NSW Government pledging $4 million and the Raiders Group funding the rest. The $19 million redevelopment will see the Green Machine leave Bruce and return to their spiritual home at Northbourne Oval, with the new Centre of Excellence expected to be ready by August – September next year. The ACT government will provide $5 million in funding over three years for the Raiders’ new Centre of Excellence at Northbourne Oval. Photo: From the development application. The Raiders had already lodged a development application for the site, with the project involving the demolition of existing buildings and the construction of a two-storey building but no alterations to the playing field. 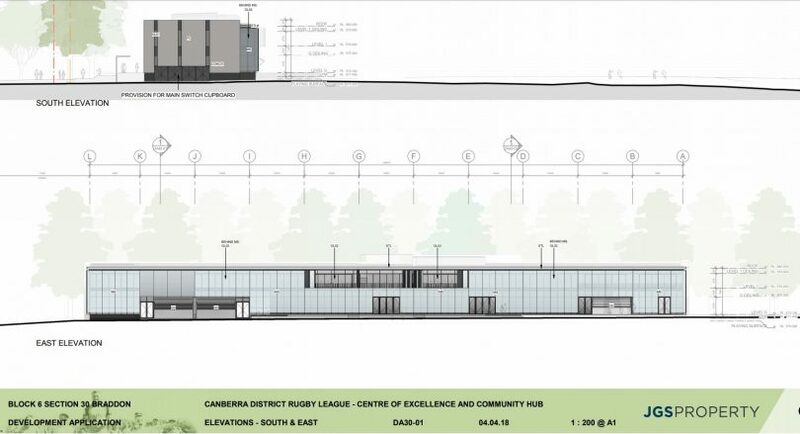 The proposal is for a building that supports the use of the oval by the Canberra Raiders as their primary training facility, with locker rooms and player facilities, indoor and outdoor training spaces and facilities for associated training and support staff. Raiders CEO Don Furner said the centre would attract senior and junior players to Canberra in the future so the Raiders can retain the talent in Southern NSW. “Having this new Centre is about showing boys and girls that we have a pathway and the best facilities in the region is here in Canberra,” he said. “We need to show the kids in the region that they don’t have to move to Sydney, they don’t have to leave the country areas and country towns to get the same opportunities as their big city counterparts. Mr Furner said the club was currently in talks with the ACT Government about the future of the Bruce facility and aims to retain the oval for touch, tackle and tag football. The ACT Minister of Sport, Yvette Berry, said the state-of-the-art facility was another important ACT Government investment in Canberra’s growing and diversifying economy. “Providing a state-of-the-art headquarters for one of Canberra’s elite sporting teams, combined with new community facilities, in the heart of the city, will enhance the area and provide new opportunities for Canberrans of all ages and abilities to get involved with the sport,” Ms Berry said. Minister Berry said several community partner programs would be run from the facility, such as Alan Tongue mentoring and team building programs, Canberra District Rugby League’s School to Work program and youth programs run by Menslink and the PCYC. 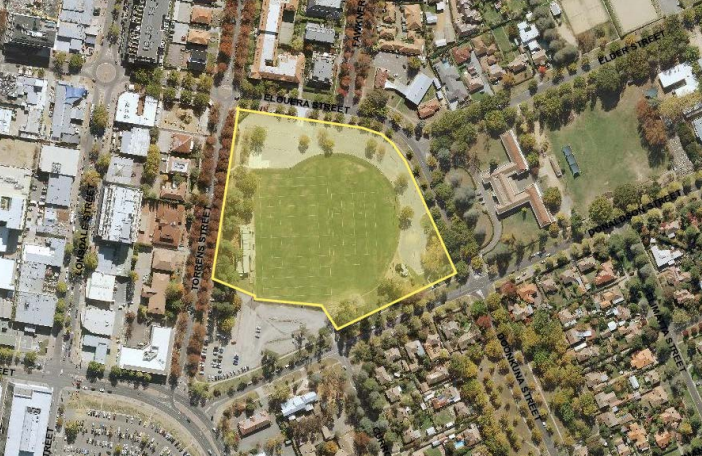 NSW Deputy Premier John Barilaro said the Centre would comprise sports and recreation areas, a grassed oval playing area, training areas, adjacent viewing areas, as well as housing the Canberra District Rugby League Football Club (CDRL) headquarters and administrative units. “This facility is set to benefit hundreds of young rugby league players and fans in both southern NSW and the ACT, providing borderless access to high-level coaching, training and mentoring support, as well as additional NRL competition and trial games in regional NSW towns,” Mr Barilaro said. “Everyone from under 6’s through to adults will have access to carnivals, clinics and training camps and elite game development opportunities – further benefiting the health and well-being of our regional communities. Construction is set to begin in in the coming months.